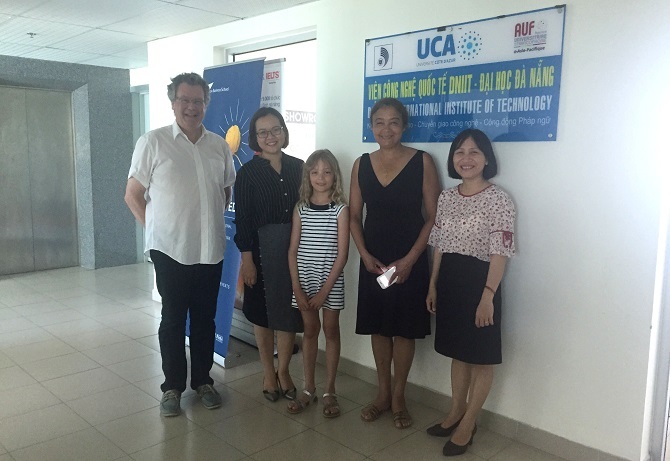 In the morning of May 03rd, 2018, the University of Danang (UD) had an opportunity to welcome and work with Ms. Marianne Mensah –who is in charge of International Development of Côte d'Azur University and Mr. Maurille Lariviere - Director of The Sustainable Design School (SDS), a member of University of Nice Sophia Antipolis, France. At the meeting, the two sides discussed the cooperative contents such as opening a joint master program and lecturer and student mobility program. It is known that SDS is aninternational private school that focuses on sustainable innovation in human service. The school was established in March 2013. Mr. Maurille Larivière said that during the training process at SDS, learners acquire all skills of a sustainable designer (drawing, design thinking, sustainable innovation, etc.) and are trained with the best design software (Adobe, Rhino and Solidworks). Therefore, the pedagogical method based on the implementation of specific projects that the School is currently training perfectly suits the needs of enterprise (eg Hermès, Toyota and Sita-Suez Environement). 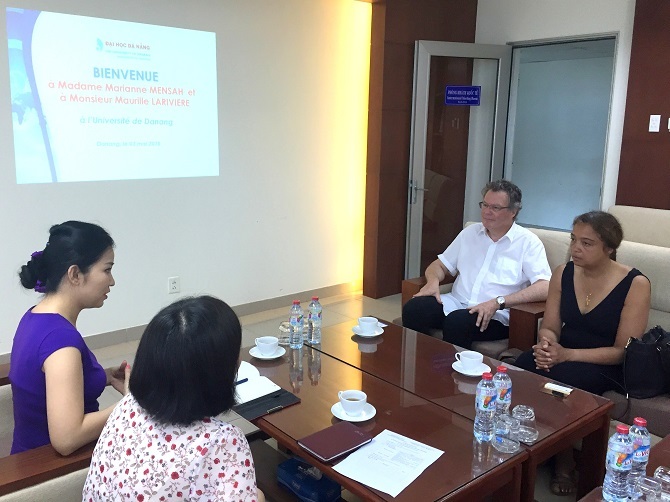 On this occasion, Dr. Nguyen Thi Thanh Xuan –Vice Rector of Danang International Institute of Technology (DNIIT) invited the delegation to visit DNIIT and meet the international students of University of Nice Sophia Antipolis who are studying and working at DNIIT.